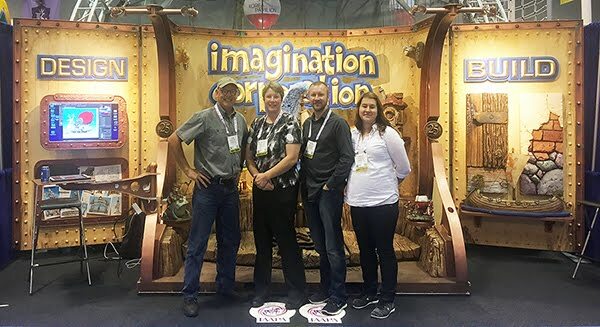 Last year we were honoured with a first place IAAPA Brass Ring award for best booth in our category. We were so pleased we decided to have a large sticker made to put on the front carpet of our display. We also proudly displayed the beautiful glass trophy in our booth. When we ordered the decal for last year's win we decided to order a second one - just in case. 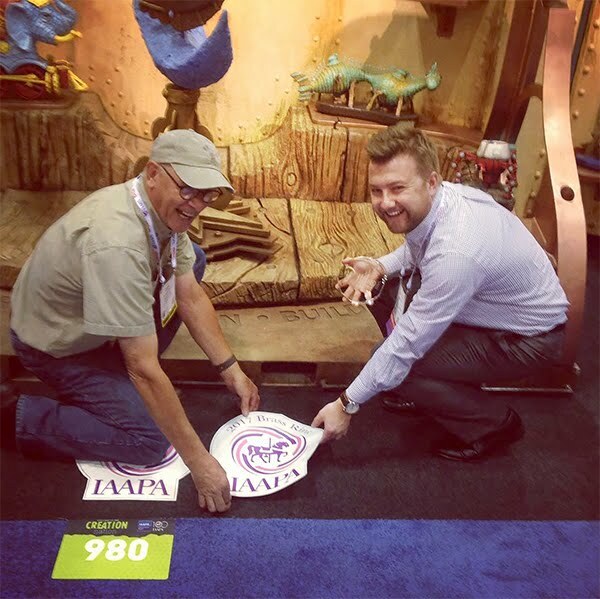 Our hope was that this year's booth might just be good enough to be honoured once more in the next category up, for the 200-299 square feet booths. Competition there would be even tougher. We received word that we had indeed been honoured once again. The head judge was very amused by our self-congratulating decal we had printed in anticipation and was gracious enough to help us stick the new decal (which had been in hiding) on the carpet beside last year's announcement.